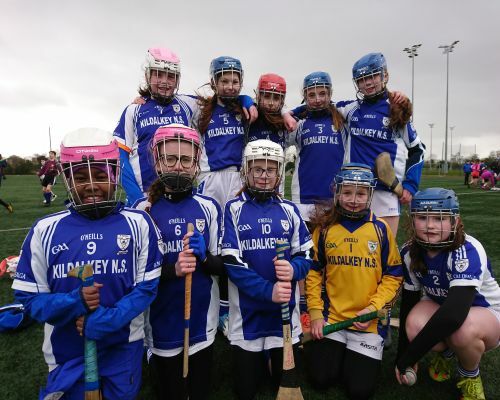 Well done to the girls' Mini 7s Camogie team who qualified for the County finals. In a qualifying group containing Longwood and Kiltale, they played extremely well against tough opponents. First up was a very tight encounter against Kiltale, which Kildalkey just about edged by a goal. They then faced Longwood, who they defeated in a tight affair by 3-3 to 2-1. 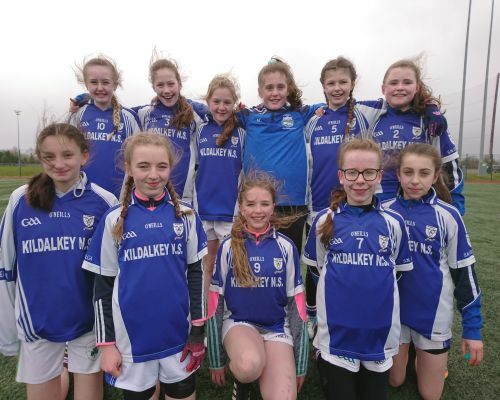 Well done to the girls, and their captains Lucy and Meadhbh, and they now look forward to the finals on Wednesday, April 3rd. 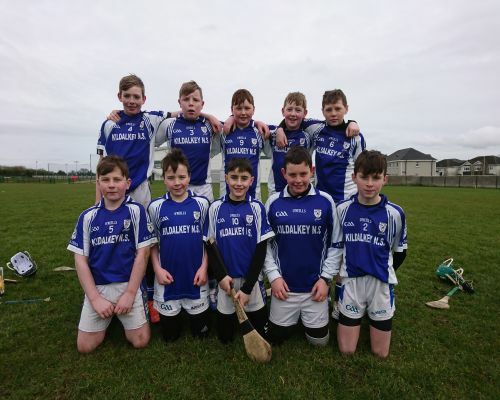 Well done to the Boys' Hurling Mini 7s team who qualified for the county finals this week. 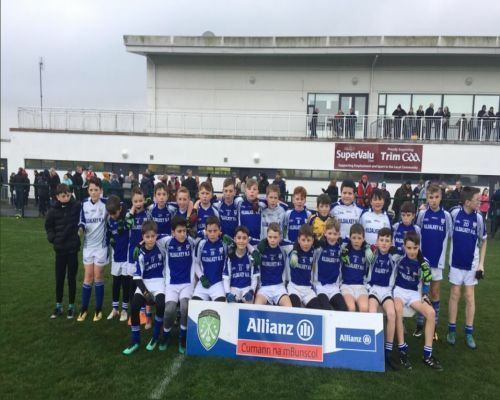 They beat Trim, Gaelscoil na Bóinne, Longwood and Kilbride to secure their spot. We look forward to the finals' day in April! Well done to the boys and their captains, Aaron and Conor B! 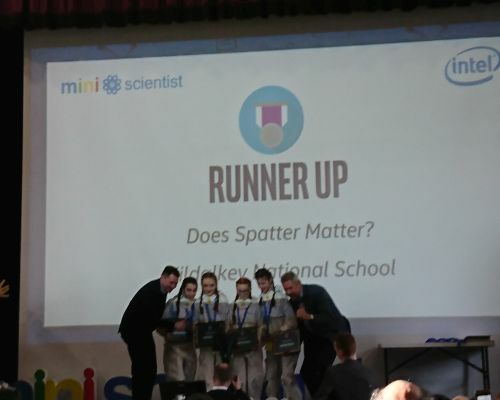 Congratulations to our four Mini Scientists who came in as Runners-Up in today's Intel Mini Scientist Grand Final!! 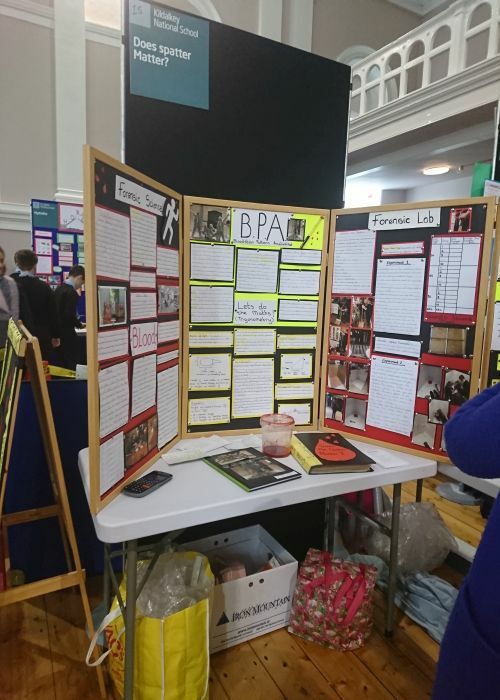 Hosted in Maynooth, today saw the final 23 projects chosen from over 8,000 students and 2,500 projects. The cream of the crop were on show! 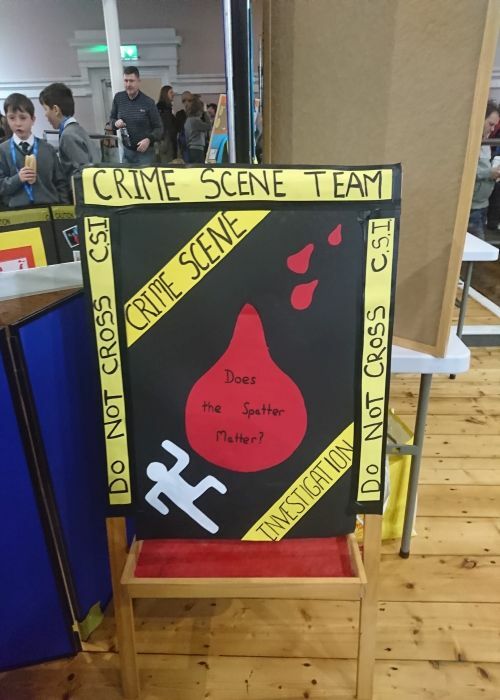 To get to that stage was an incredible achievement, so imagine the girls' delight when they were announced as the runners-up! This is a phenomenal achievement for the girls, not least that they got to this stage for a second year in a row! 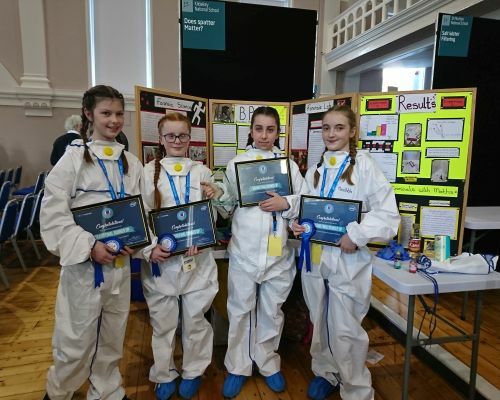 Well done to Anna, Ellen, Meadhbh and Shannon and their parents (though credit must go to Janet in particular for her great work with them). A very proud day for the girls and the school. Well done girls!!! 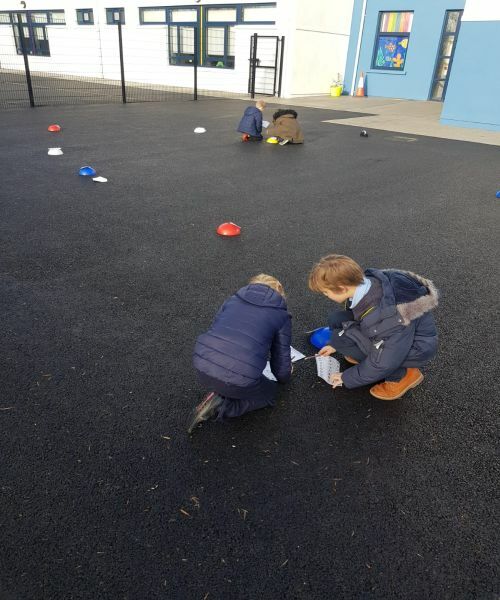 The first class have been busy lately orienteering! 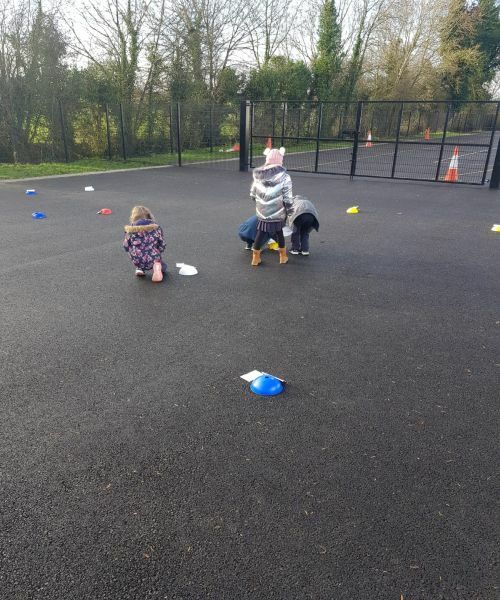 The school has been focusing on Outdoor and Adventure Activities in P.E. 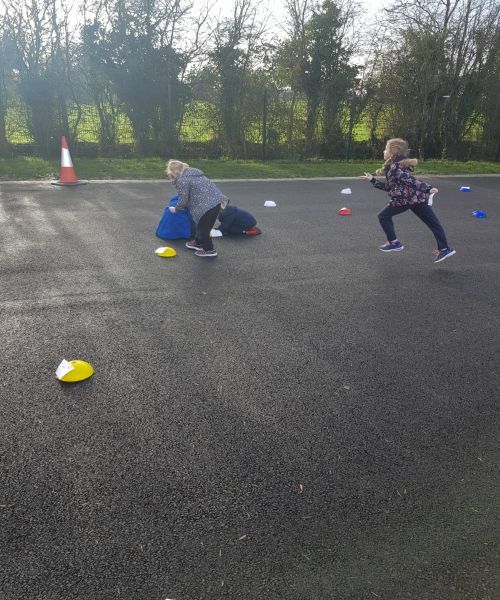 this term as part of the Active Schools Flag. 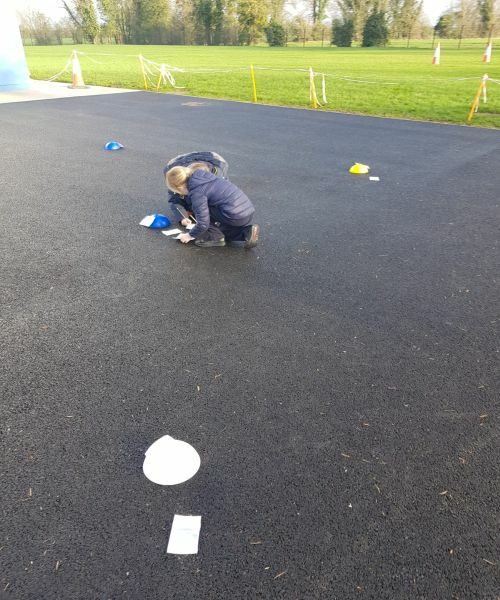 Using maps provided by Miss Judge, the first class got stuck into the orienteering and really enjoyed the experience! 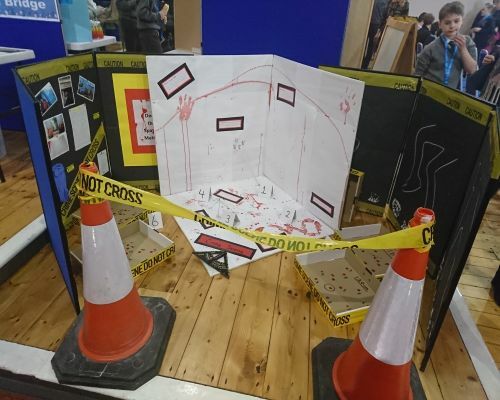 Well done to our future cartographers!